“My son is now 14 and for the past two years he’s been going more and more inside himself. His sister was the first to notice this odd behaviour, they were inseparable when they were small but now they are growing distant. His isolation was odd to me and my husband because he was always so full of life as a child but we just thought it was puberty hitting in. It’s only been till recently that we have found out that he’s been suffering in silence dealing with what seems to be a mild form of depression which has culminated in him turning away food on a regular basis. This was exactly the same behaviour my husband showed when he was his age so one of us has some form of experience I’m just annoyed we didn’t see it earlier. My boy isn’t the strongest in his class, he’s gentle, mild mannered and sensitive to his surroundings but he always strives for what is right. This dark cloud is shadowing his true personality and we want him back. We’ll get there one day because none of us will give up. 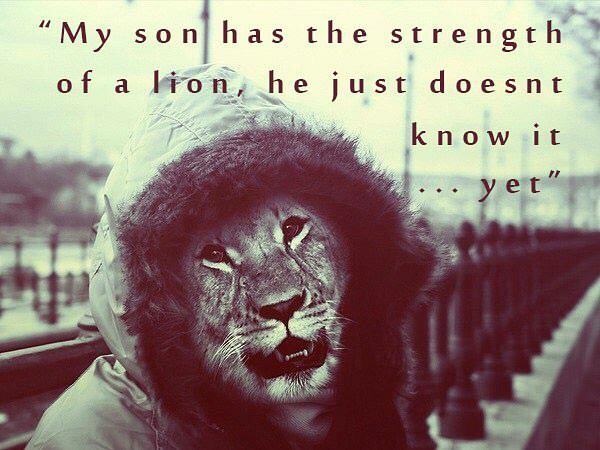 I hope that one day he’ll see and recognise this Jiggsaw and see that we just want our son to know that he has the strength of a lion, he just doesn’t know it….yet.